Hi friends! 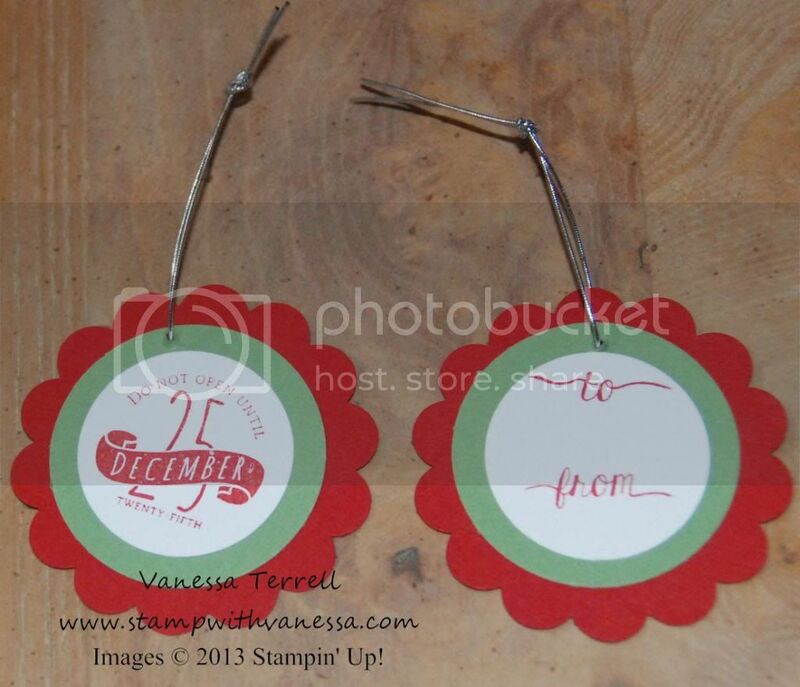 Today I'm sharing with you some gift tags I made using the Christmas Tagables Photopolymer stamp set and the Best of Christmas stamp set. These were so quick and easy to make...and right now all of the projects on my too do list are quick and easy because I don't have much time for fussy stuff! 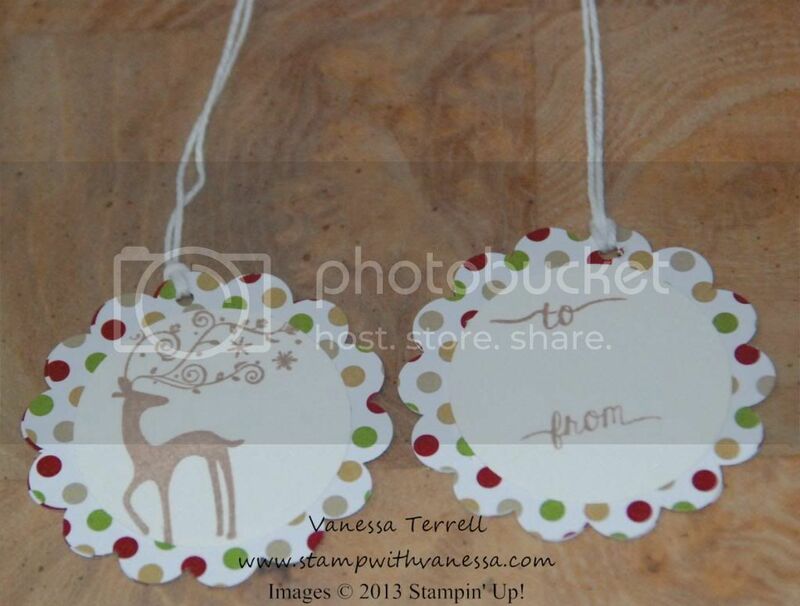 I made these tags two-sided as you'll see when I show them to you. All you need is some of cardstock, Designer Series Paper, Ink and some Baker's Twine to match your wrapping paper and you are all set to create some quick and easy tags! 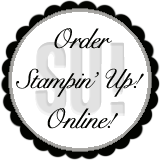 Accessories: 1-3/4" Circle, 1-3/8" Circle, 2-3/8" Scallop Punches, Whisper White Baker's Twine 124262 and Silver Cord.